Guatemala is a country steeped in textile traditions. The Maya people have a rich history of weaving and other crafts handed down through the generations. During this eleven day tour we will travel the highlands of Guatemala visiting artisans with a focus on textiles and traditional crafts. We will learn about the Maya culture and the artisans' lives while visiting their homes, and rural communities. We will immerse ourselves in the hustle and bustle of lively artisan markets and enjoy the natural beauty of Guatemala’s spectacular Lake Atitlan. and the architectural splendor of an old colonial city. Throughout this tour there will be opportunities to participate in demonstrations, workshops and one to one activities. The price of the Textile Arts Tour of Guatemala is $3,825 plus airfare. This price is based on double room occupancy. Single room occupancy is available for an additional $475. The tour is limited to 14 participants plus Textile Center's representative. A non refundable deposit of $750 is due by April 27, 2018. Final payment is due, on or before July 27, 2018. Please contact Sharon Mulhollam at Textile Center, tel: 612 436 0464 email:smulhollam@textilecentermn.org for registration details. 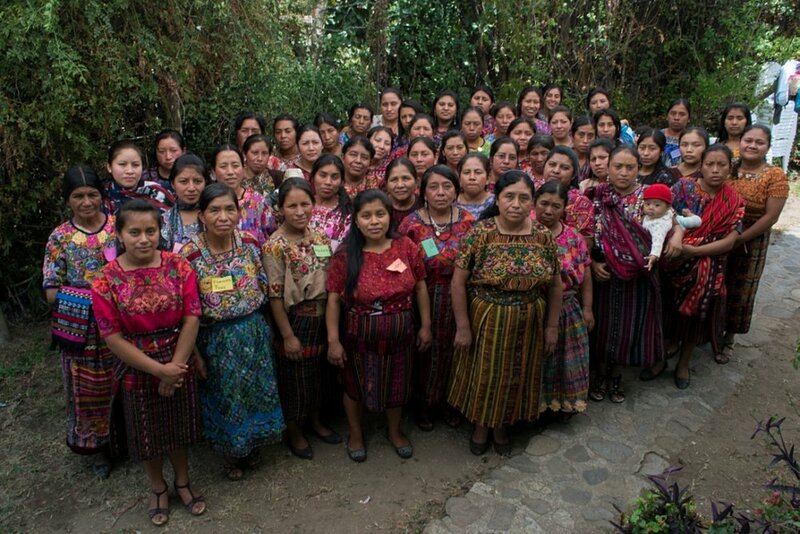 In 2014 Multicolores was formed with the goal of improving the quality of life of Maya artisans and their families through programs which build knowledge, skills & self confidence. The Association is made up of 50 rug hookers from 5 communities and 12 embroiderers from 6 communities. The Association also supports the artisans in finding markets for their handicrafts and promoting cultural exchange. Visit their website here.